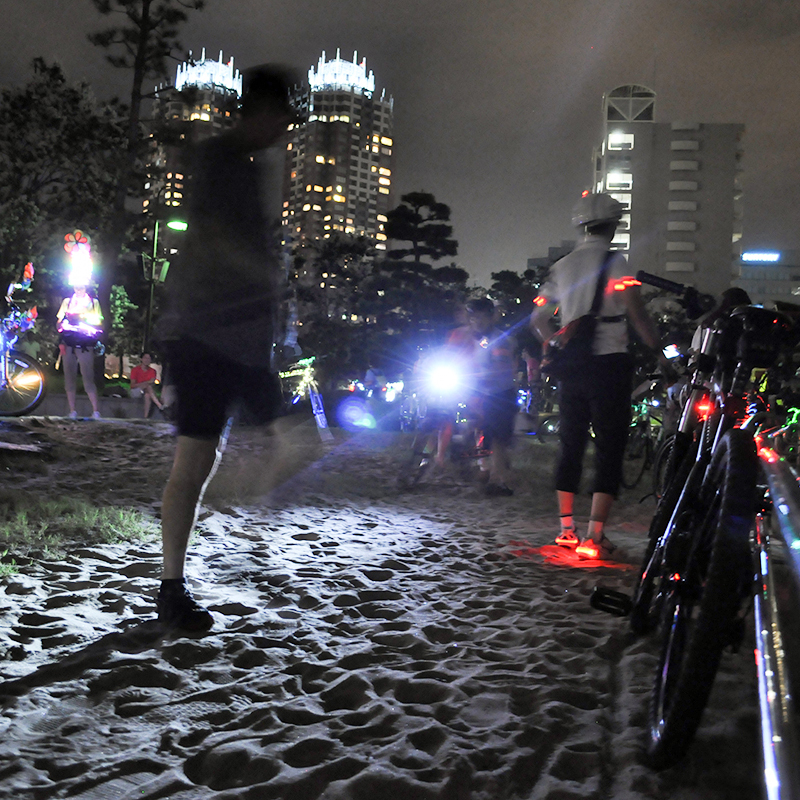 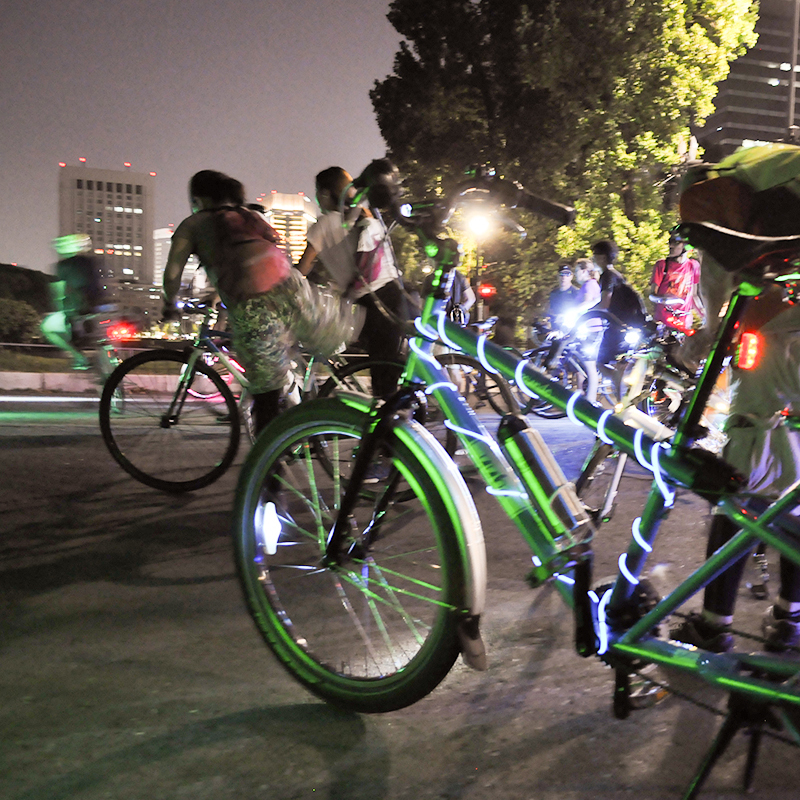 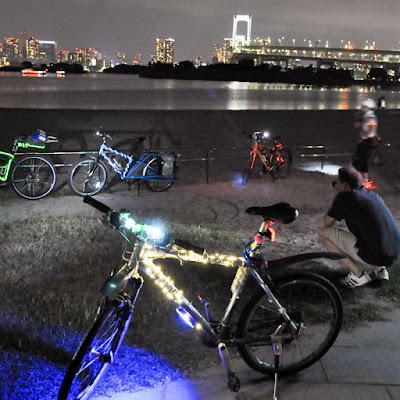 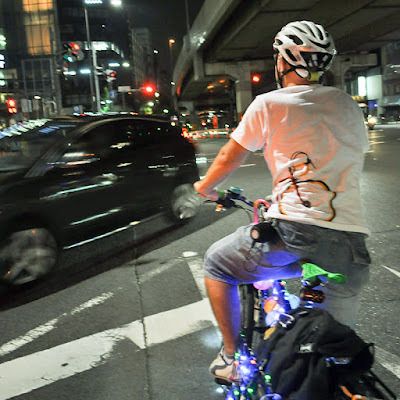 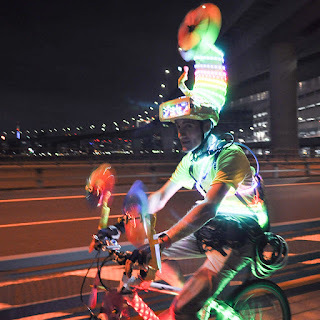 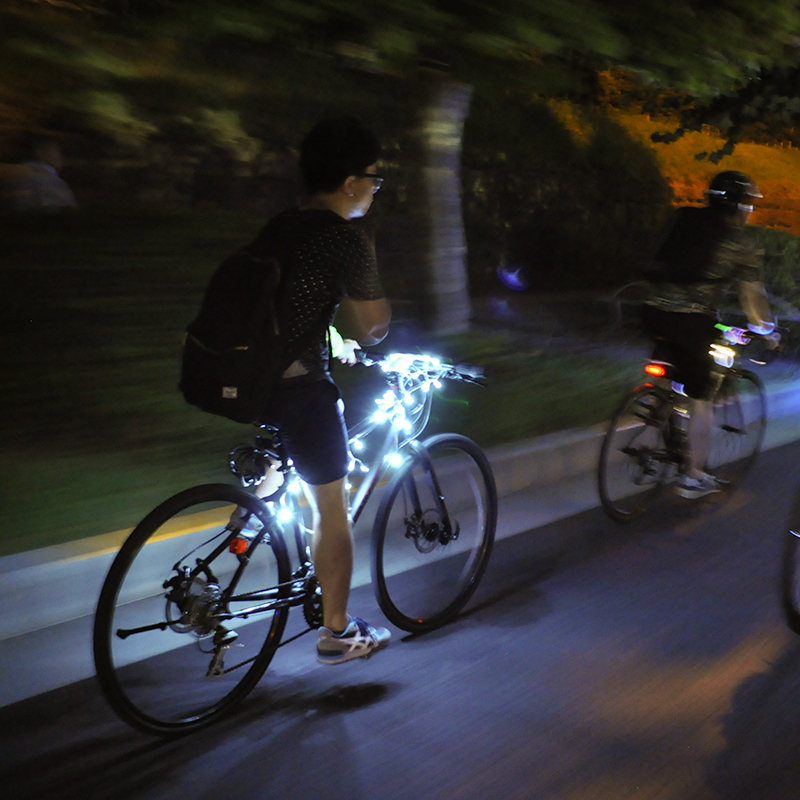 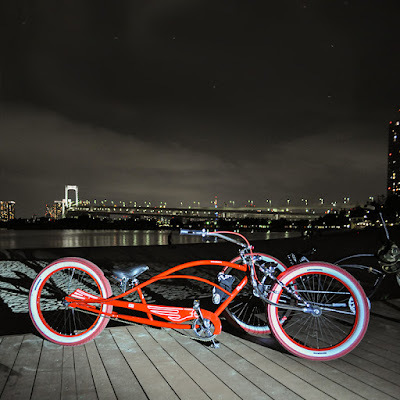 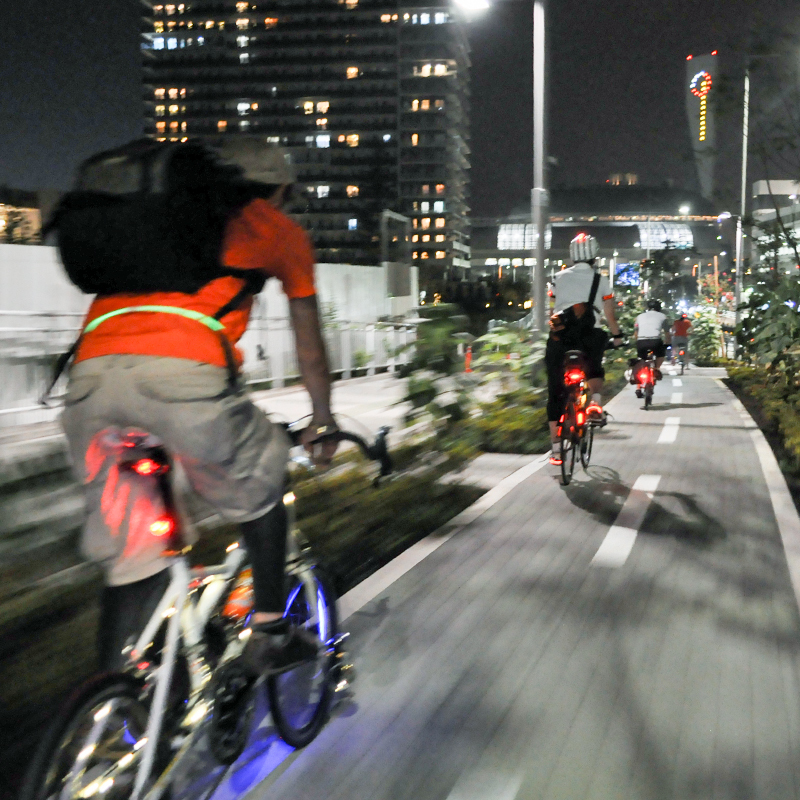 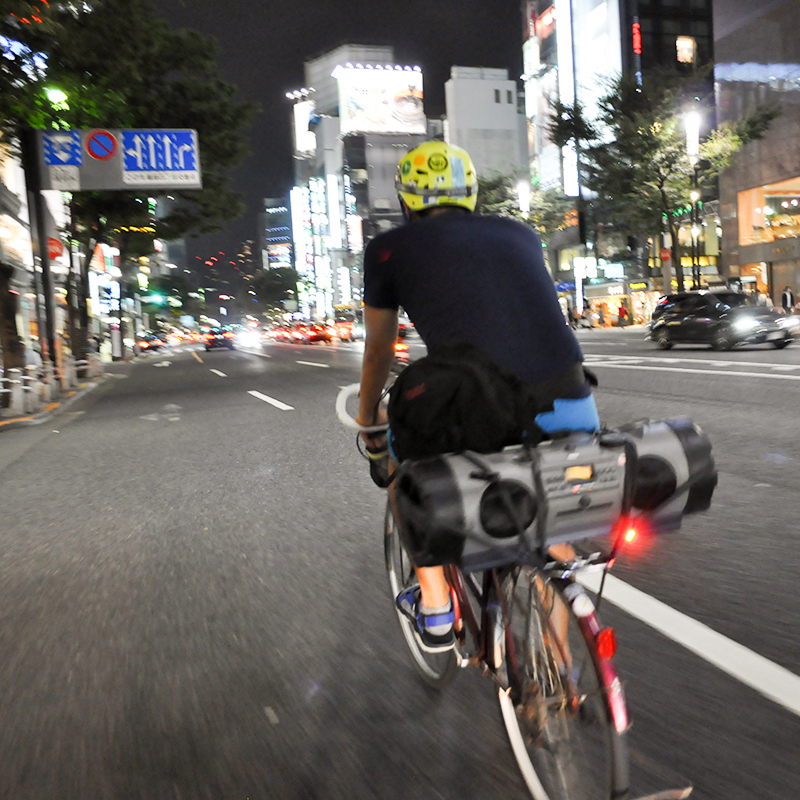 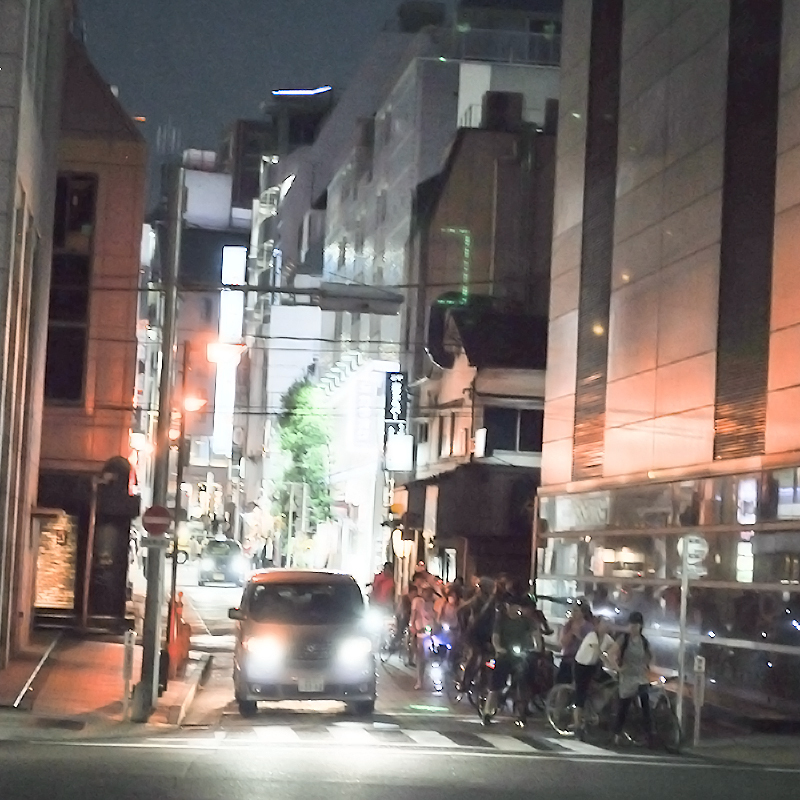 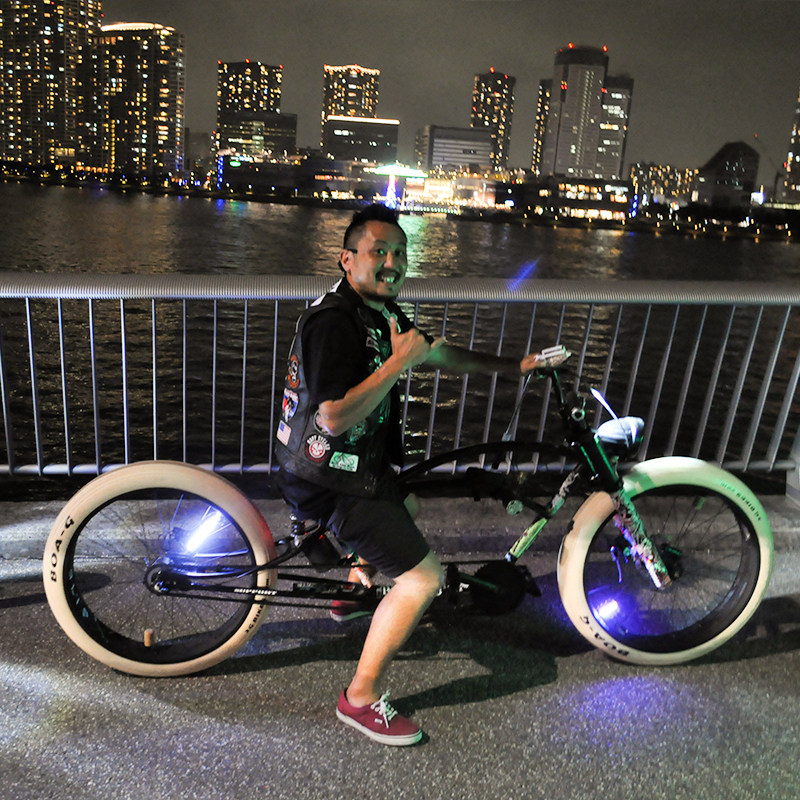 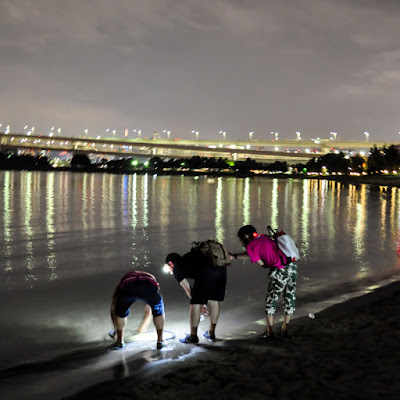 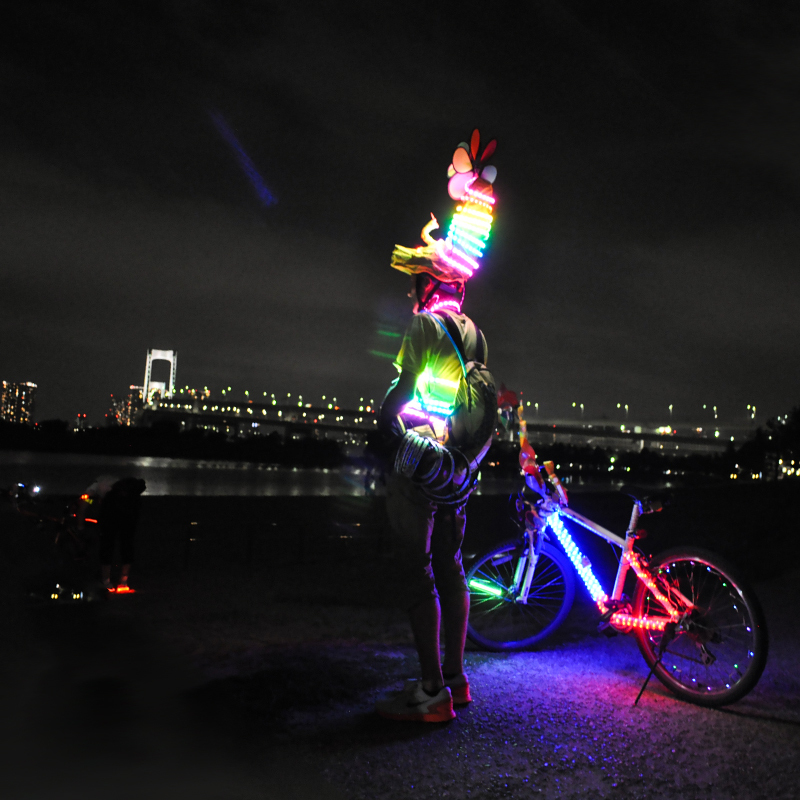 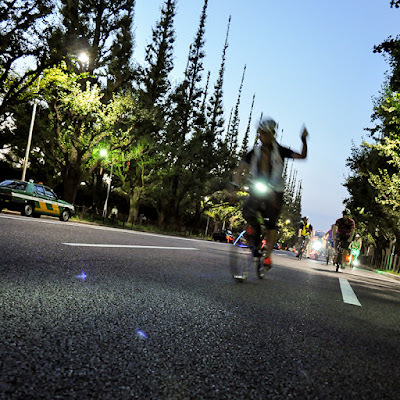 On August 22nd over 50 people joined the inaugural Firefly Ride in Tokyo. 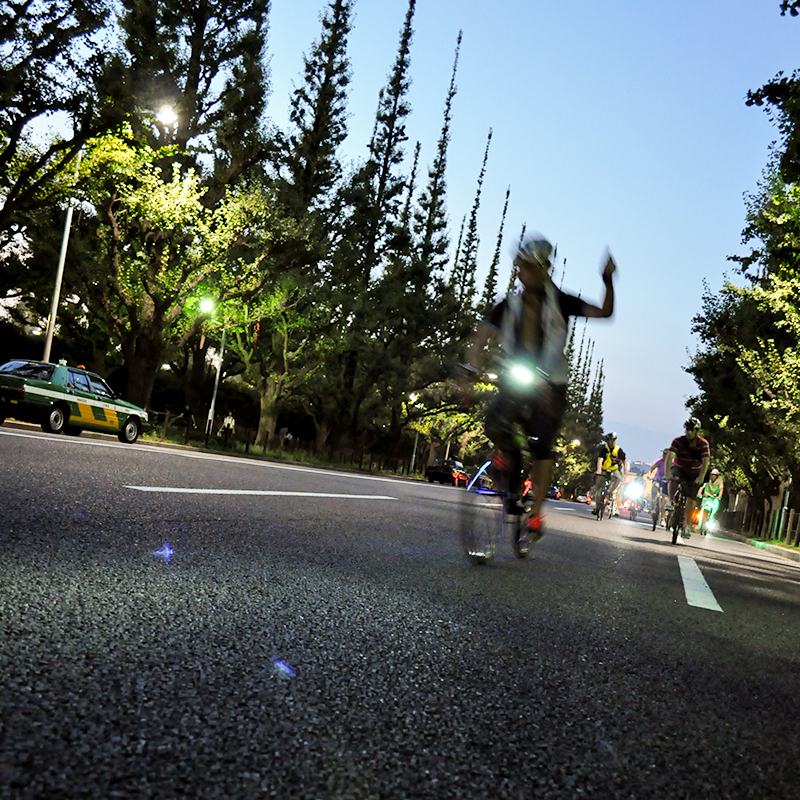 Hosted by the Cycling Embassy of Japan and Tokyo's night cycling veterans Night Pedal Cruising the Firefly Ride was held as a simple celebration of the joy of cycling, a reminder to people in a country where getting on a bicycle is as natural as pulling on your shoes that the bicycle is an important part of their lives, and that cycling can be fun as well as utilitarian. The ride also aimed to demonstrate the social side of cycling, not just cycling in a group but serve as a reminder that each time you cycle through your neighbourhood you're contributing to its social nature. 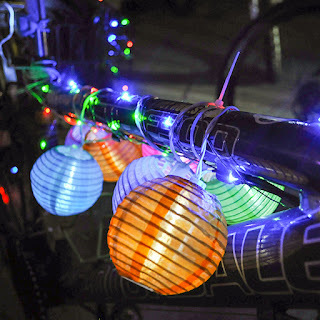 Of course sending the message isn't enough, you have to get people to see the message which is why the Firefly Ride encouraged participants to decorate their bicycles with a variety of lights in order to create a spectacle nobody could miss. 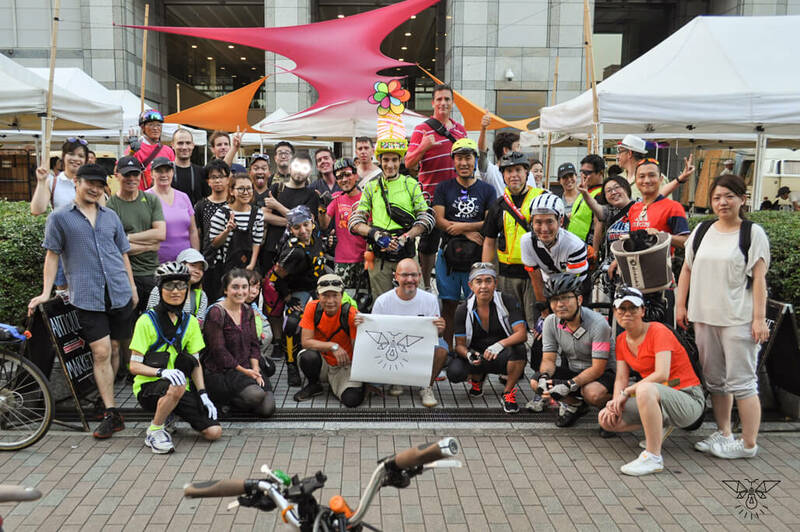 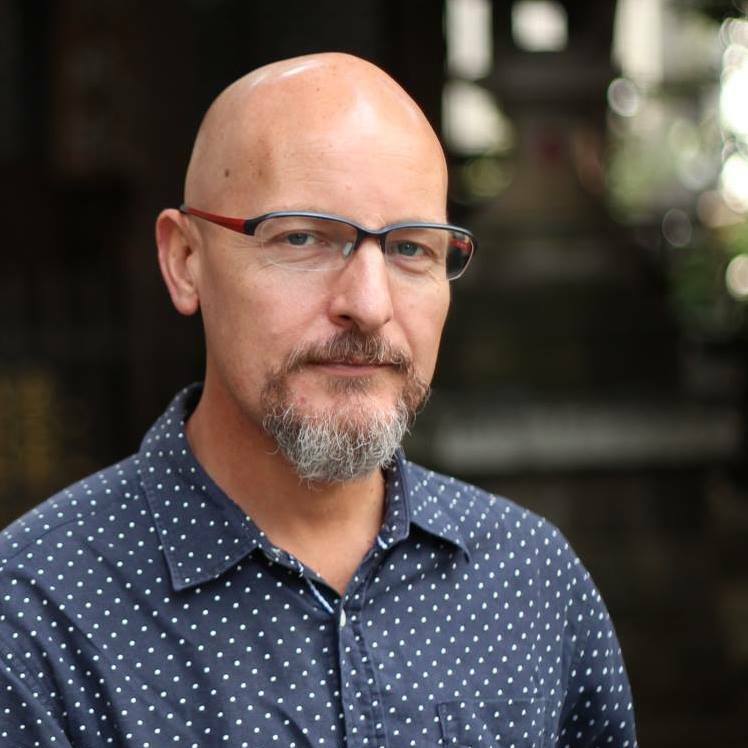 From 5:30pm onwards participants began gathering at the United Nations University in Aoyama and I was happy to see many new faces along for the ride. 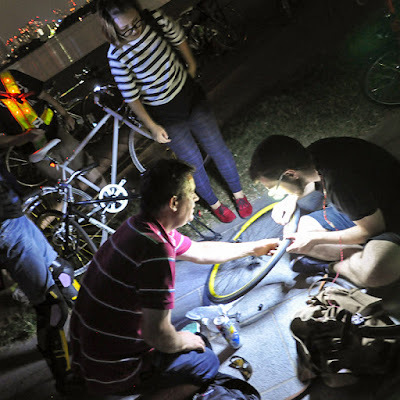 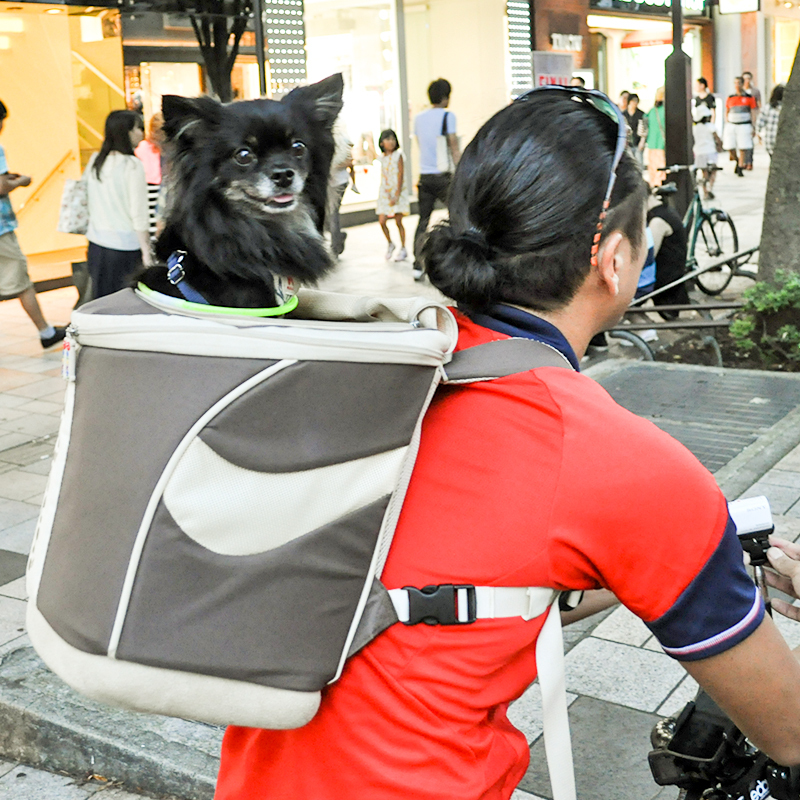 People of all ages, people who had borrowed bicycles for the night, people from a variety of countries and backgrounds, and even a small dog joined in. They bought with them a wide range of bicycles from mamacharis, to expensive brand name bikes, to heavily modified monstrosities (like mine) that only their owners could love. It is this variety of people and bicycles that makes this and the monthly Night Pedal Cruising rides so much fun. 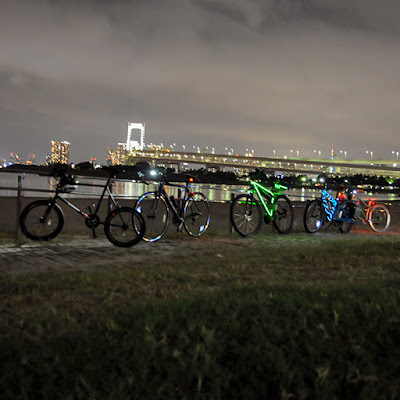 We're not all fit and fast we just love to cycle in the city on well loved bicycles while enjoying conversation with people who feel the same. 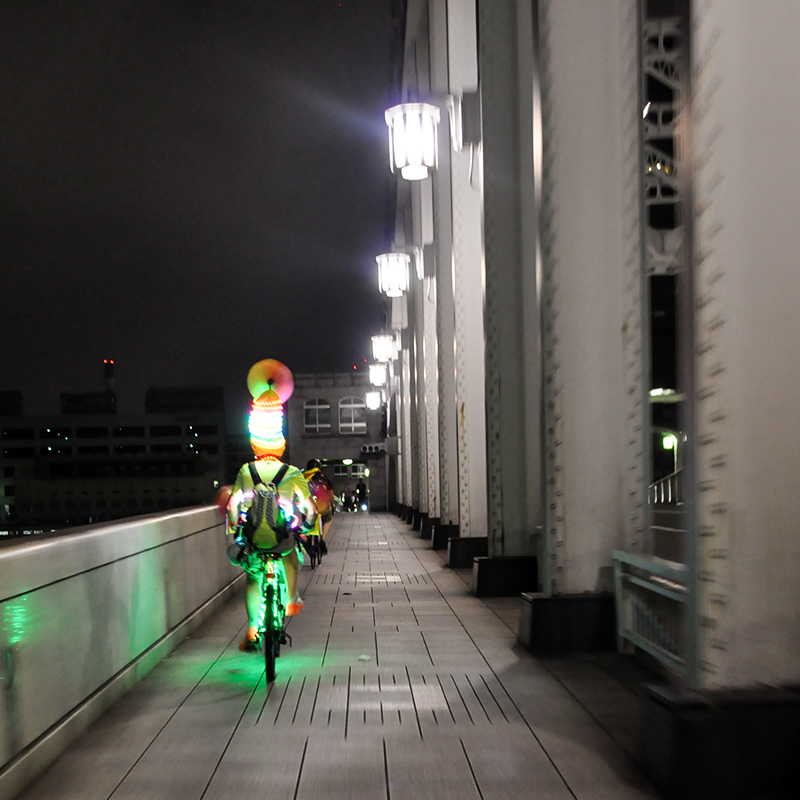 After a quick last minute change of route, in consideration of the number of new and inexperienced riders, we set off in a flash of light and sound, nobody attracting more attention then guest judge for the evening Joseph Tame, a local identity known for his art of running projects, running the night lit up like a Christmas tree, and for live streaming the Tokyo Marathon from various iPhones and other devices strapped to his body while he runs. 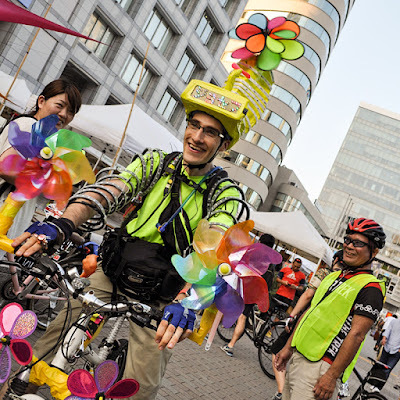 As someone who has run the Tokyo Marathon, trust me that Joseph's broadcast and commentary is much more interesting that the official broadcast, so much so that I feel like I'm running the race all over again! As always on our night rides we aim to keep the group together which means a lot of stops and starts as the group routinely becomes split by traffic lights, but this gave everyone a lucky opportunity to get to know the people cycling around them. The frequent stops also allowed passers by to take photos, and for us to answer any questions about our seemingly odd activity to whoever may ask. 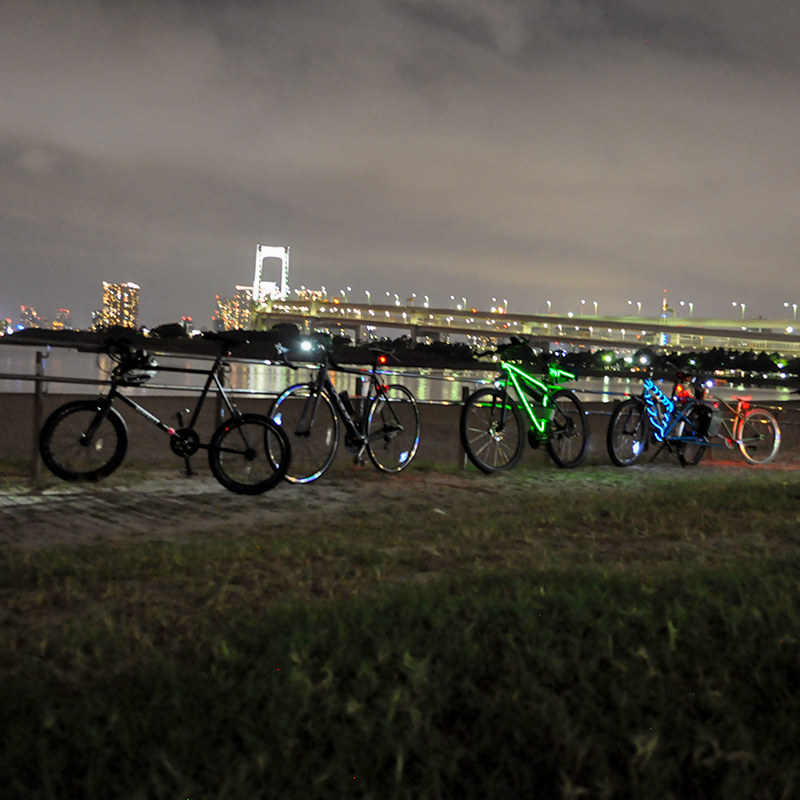 Despite the leisurely speed we found ourselves at the Imperial Palace in no time. I took an opportunity during the break to try and fix my rear brake which wasn't operating 100% as it was snared by an overly tight wire-tie used to secure some obscenely large lights to my bicycle, but by the time we cycled over to Tokyo Station for another photo opportunity I realised that my attempt at maintenance had failed and I was still without stopping power. 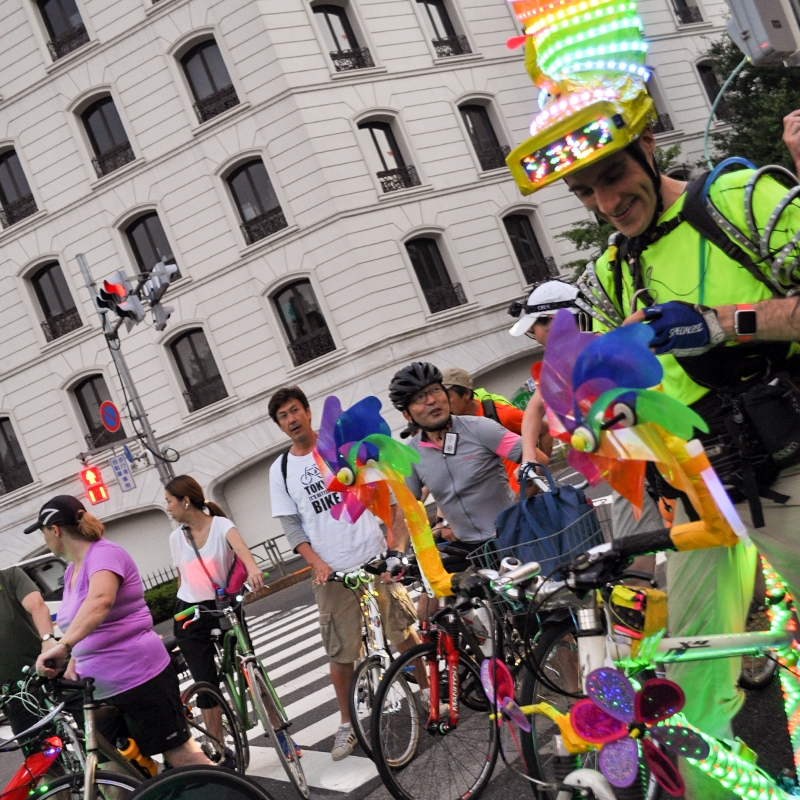 From Tokyo Station we cycled through Ginza where restaurant staff and pedestrians cheered us on, and over the bridges (which gave us beautiful views of Tokyo Sky Tree, Tokyo Tower, Rainbow Bridge and Odaiba) to the islands of Tokyo Bay where our group got permanently split in two for the remainder of the ride as I and a few others remained behind to help one rider nurse a punctured tube to the end of the ride. At Odaiba Seaside Park Joseph judged the winner of the best decorated bicycle competition before we cracked open some drinks and shared snacks on the beach.